I got it to work with wires, made the PS3 controller drive it over USB. Then I got rid of most of the wires and got LANC working, triggered off of the USB controller. The circuit and sketch are as refined as I can get them without access to the camera. The off-brand PS3 controller is kind of junky. The analog switches never quite turn off, the joysticks are mushy. I thought I was going to replace it with a sweet Nimbus over bluetooth. 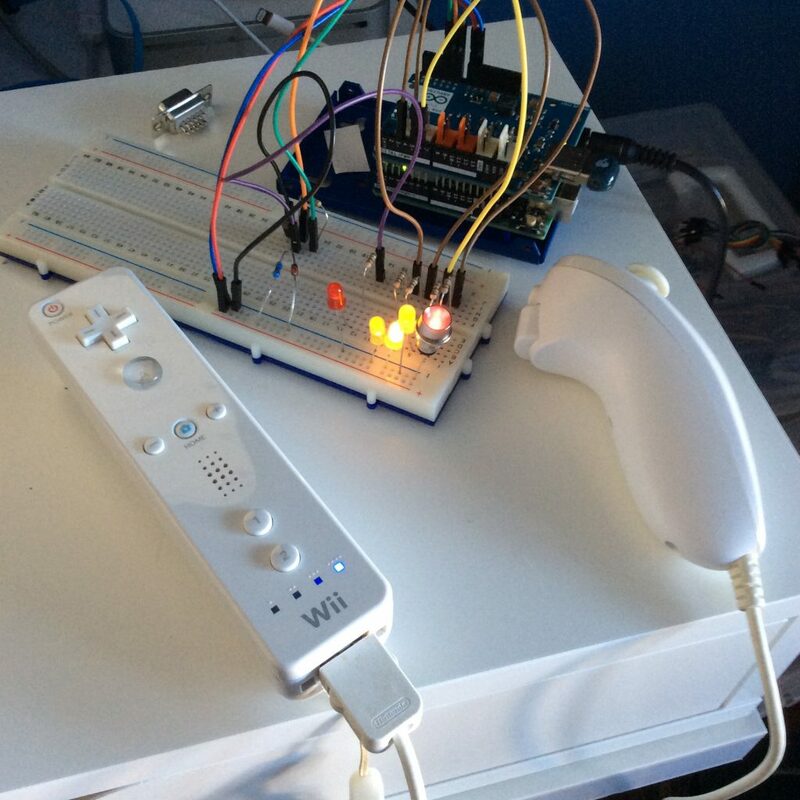 But as I explored how to get bluetooth working as a dongle on the USB Host Shield, with the USB Host Shield Library 2.0, I was playing with the wiiMote sketches, and I realized that it is the perfect controller. The cross on top will control the menu, the + and – toggle the joystick and the LEDs. Depending on which mode it is in, the single joystick will control the focus, iris, or gain. You have to hold the A button and pull the trigger to start and stop the recording and the tally lamp – there is even a quick rumble to let you know you’ve pressed it. It’s really f-’n cool, and it should be a great way to control the camera on a daily basis. 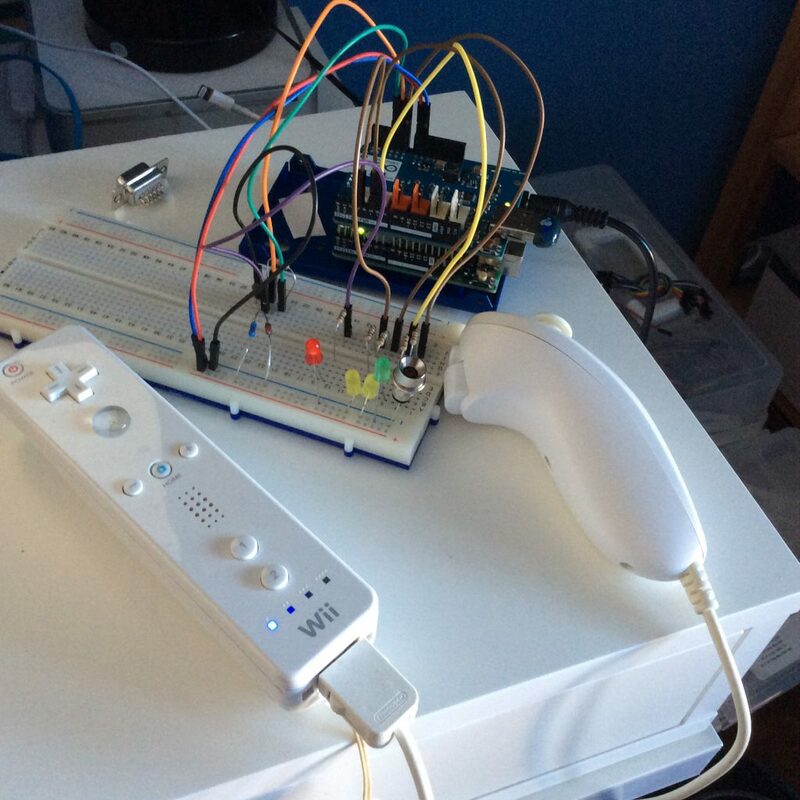 Next up, control the camera through the arduino – with a midi signal sent from an iPad over bluetooth. Hmm… Will I figure this out before the camera ships?